Via an update on Maketoys Facebook*we have the final product color images of their upcoming*MTRM-15 Endgame (Masterpiece Scaled G1 Dirge). 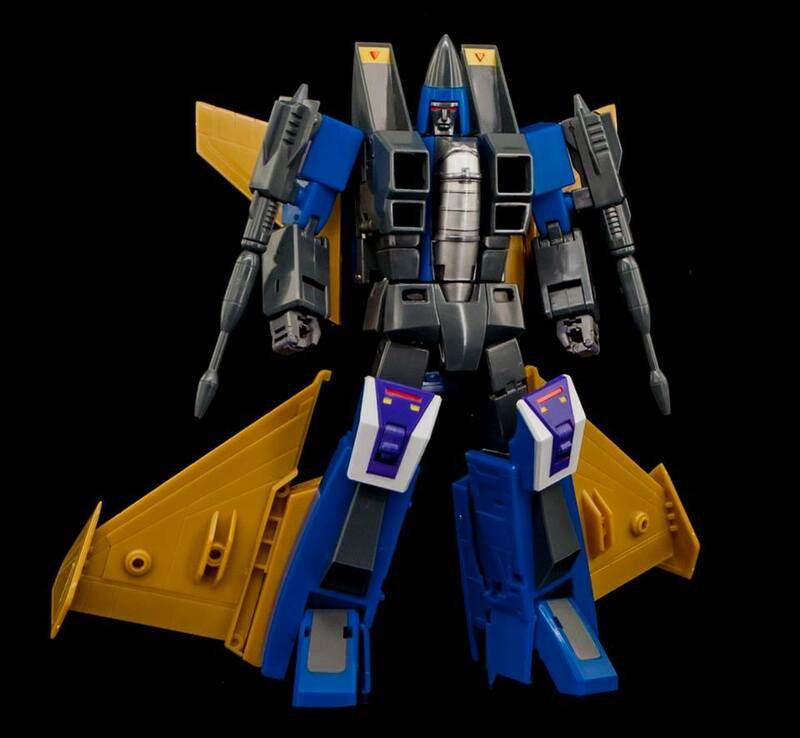 Maketoys brings us an impressive cartoon accurate rendition of the classic G1 Conehead. The mold looks very cartoon-accurate, and it will include 3 interchangeable faces plus 2 pairs of blasters (cartoon and toy accurate) for great display options. The images showcase an impressive range of poseability and a solid jet mode that we are sure will please Masterpiece collectors. We are yet to see the colored versions of the rest of Maketoys Coneheads:*Booster (G1 Thrust) and <a href="https://www.facebook.com/Maketoys/photos/pcb.2037218432963683/2037218332963693/?type=3&#38;theater">Jeststream &#187; Continue Reading.